This post is brought to you by the Key Ring app. All opinions are mine and I definitely LOVE to save money! With three children under five, when I go out shopping with all three, I tend to be a bit forgetful. I am usually happy if I can just remember my wallet! I am big on saving money and usually have gift cards, coupons and sales in mind to bring along but, sadly, I usually forget them or lose them. So when I was recently introduced to the Key Ring app, I was in organizing and money saving heaven! Seriously, if you like to save money, keep track of sales at your favorite and local sales, and keep track of your loyalty cards and gift cards in one place, then the Key Ring app is definitely for YOU! Available on both Google Play and the App Store, Key Ring app is the #1 mobile app for loyalty cards and shopping. 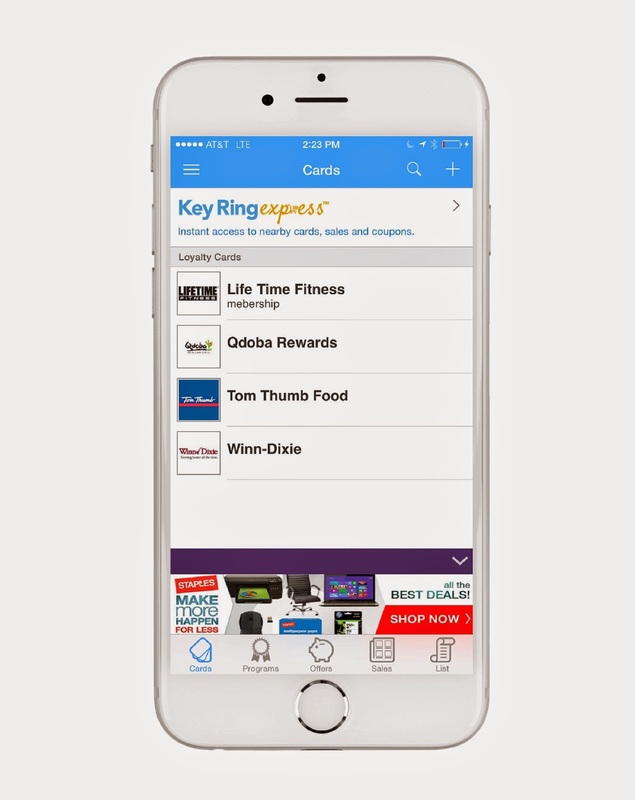 Key Ring users plan, save, and organize by digitally carrying their cards, accessing hundreds of weekly ads and coupons, and creating digital shopping lists – all in one app. Key Ring’s mission is to make shopping less of a hassle. The app was created for utility. It makes saving money at the store effortless by having shoppers’ loyalty cards and other money saving deals right at their fingertips. No more digging through your wallet or forgetting your cards at home. With Key Ring, you always have savings in store. This app is seriously a must-have for all money savers! It has everything you need to stay organized, keep track of gift cards and all those loyalty cards you always forget when shopping and find the sales at your favorite stores! Let's start with all those gift cards and loyalty cards that are cluttering your wallet and making it bulky and unable to close! Key Ring quickly and easily scans in the cards, keeps track of them and you can even take a picture to remember what your gift card looks like! You will have them at a touch of a button wherever and whenever you need them! Key Ring is used by more than 12 million shoppers who have securely stored more than 60 million loyalty cards. Loyalty cards are securely backed up in the cloud with free account creation and over 2,000 loyalty programs are housed in Key Ring’s loyalty database. Then comes your instant access to the latest sales and coupons from your local stores! Just enter your location and in seconds it pulls up all your local ads! It is simply amazing! This app has quickly and easily helped me find great sales around me just with the touch of a button! And on top of that, I can quickly add all the items I want to buy to my grocery list so I never have to worry about forgetting that again at home or forgetting what I needed to write down (it happens more than I want to admit!). 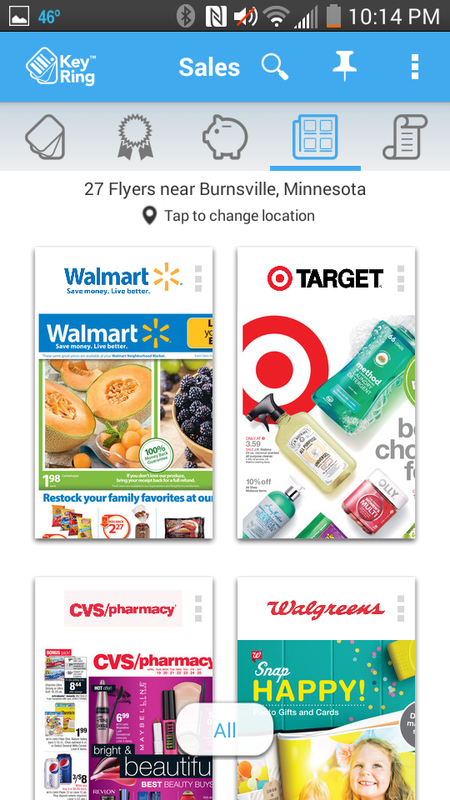 Over 150 weekly ads are easy to browse with Key Ring’s unique page flip experience. 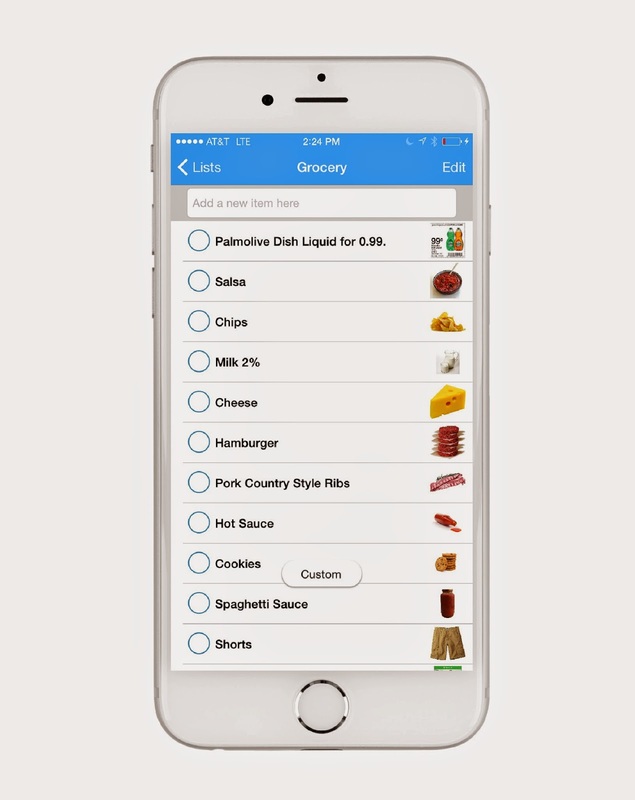 Shoppers can seamlessly build lists in the app and items from weekly ads can be added in one click. Search feature makes finding the best prices (at the closest stores) simple. 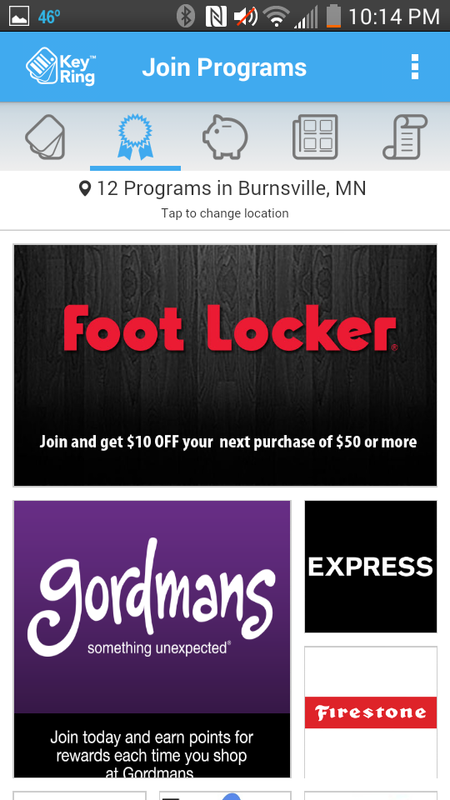 Curated coupons from hundreds of local and national retailers available in the app. So if you are a busy person but still like to save money wherever and whenever you shop, then the Key Ring app is definitely the one for you! In seconds, you can be organized, find the best sales in your area and even create your shopping list...all in the touch of a couple buttons. This app is definitely a must on my phone and will be recommended to all my friends and family! Key Ring app is generously offering (1) $50 App Store gift card to a lucky winner!